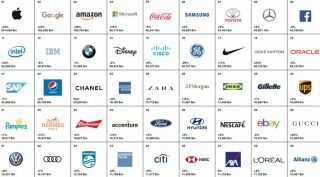 What do the world's best brands have in common? Emulate the best global brands with this 5-point checklist. Yesterday's report from Interbrand detailed the 100 Best Global Brands, with Apple and Google taking first and second place for the sixth year running. And while it's hardly surprising that these tech giants nabbed the top spots, what does the list tell us about what makes a good brand? We've pulled out some key takeaways from Interbrand's report, including the five key elements that make a good brand, and what smaller brands can do to emulate brand giants. "Leading brands are driven by their desire to be useful, to create products, tools and services that actually solve customer problems, and lead by serving and not just selling. They are driven by a clear sense of purpose, which is focused on making meaningful improvements in the world. And importantly, they do this on a day-to-day basis, constantly being at-hand and intertwined in their customers' lives." After all, if your product is useful, then people will interact with it on a day-to-day basis. Can you find a way to make your brand a part of your target audience's lives? Is what you're offering useful enough that this will feel natural, and not forced? If not, can you make it so? This year, 29 per cent of the total value of the top 100 brands is in subscriptions. Compare this to 18 per cent in 2009, and you'll see we have a growing trend. These days, it seems, access is more important than ownership. "Brands are winning by offering the most frictionless ways to leverage their products and services based on the personalised needs of their customers," says the report. And brands that weren't originally based on subscriptions are changing their business model to incorporate them. The obvious example is Netflix, which was this year's second fastest growing brand (after Amazon). Adobe has also ensured its place in the table (number 51, up 19 per cent on last year) by switching from one-off purchases to a subscription model in 2012. Its brand value has increased around 14 per cent annually ever since. A subs-first model might not work for all brands, but there is a lesson here. Think about how you can ensure your customers remain loyal. How can you engage your followers on social media? What's the best way to reward your loyal clients or customers? The brands that experienced most stable growth over the last decade were those that scored highly on Interbrand's scales of relevance and responsiveness. These are the brands that put their customers' needs at the heart of their business, invest in "future-forward customer exploration" and "can flex and change to ensure that the brand constantly stays relevant". For example, to stay relevant, Hermès (32nd place on the list) has launched new products across multiple new categories, including perfume, food and even lighting, and collaborated with Apple to create an Apple Watch Hermès collection. What can creatives learn from this? Diversifying your revenue streams may be the way forward – if you can afford to experiment a little. Might it be worth trying something new? The best way to find out is, of course, to ask your followers or customers what they would like to see. Listen to what they say, and adapt. Luxury was this year's best performing category, having grown 42 per cent. Luxury products involve a sense of "exclusiveness that comes from a unique or personalised service", and the category also includes premium experiences that deliver "emotional reward at every touchpoint and exceed customer expectations". According to the report, this sector has grown because of its responsiveness and willingness to adapt (do you see a trend here?). For example, Gucci (39 on the list) has tapped into a new market by implementing a "shadow committee of millennial employees". Luxury ideals have also seeped into the tech sector, with Samsung (number 6) shifting its model to include phones with designs and price points to match Apple. Its Samsung W2018 models costs more than $2,000, and buyers received perks such as concierge assistance and access to a VIP hotline. What can we learn from this? Every customer likes to feel special, so think about how you can create a sense of exclusivity and uniqueness in what you do, even if your products don't have a luxury price tag. This could be as simple as creating signed or personalised copies of your work – but not handing them out to everyone. When what you're selling is similar to a lot of others, it's the brand that counts. "Brands that have worked to make their brands matter more than other customer decision criteria have seen substantial long term growth," says the report, giving the example of Starbucks (57 on the list), which has made it acceptable to pay more than $5 for a coffee, just because of its brand. How much the brand is a deciding factor does depend on the sector. For example, with cars, brand can matter around 30 per cent for mass market brands, and as much as 60 per cent at the luxury end. Nissan (number 40 on the list) has capitalised on this by focusing on communicating its core idea, and the overall Nissan customer experience. The best way for smaller brands to copy this idea is to make sure that all touchpoints convey the same, core idea. This makes the brand message loud and clear, and ensures that if customers are torn between your brand and another one, they'll choose you. Overall, if you want to create a successful brand, be clear, bold, and flexible to change. But don't change so much that your initial vision becomes lost.